Signup and receive all our updates and news. Information and updates from the Commodore. Click Here to Signup and view previous updates. Everything you'd want to know about the happenings at the Fremantle Annexe. Dedicated to our Yachties, the e-news you need for the latest in Sailing news. Your access to ensuring you find out about our Parties, social events and as it says - the Fun Times at the Club. For all our Power Boaties our there. 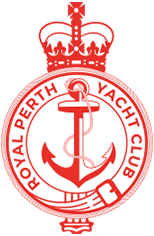 Keep up to date with activities, latest hints and tips, and news that affects you and your vessel. Activities galore, training news, upcoming events and more related to sailing in our Dinghy Fleets. All important Club information relating to your membership.